How clean will UK electric cars be? | What Car? 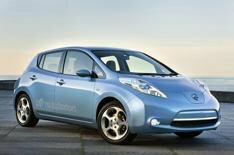 How clean will UK electric cars be? The electricity that drives electric vehicles (EVs) has to come from somewhere, and in the UK its likely that a great proportion will come from a coal-fired power station. Around a third of our electricity is produced this way. While emissions will still be lower than those of a petrol or diesel-powered car, an EV in a country such as Norway, which produces an excess of electricity from renewable resources, will have a tiny carbon footprint compared with one in the UK. The cross-party parliamentary Energy and Climate Change Committee has announced that it is to review the new coalition Governments aims to clean up our electricity. The Government wants to prevent more coal-fired stations from being built unless they are fitted with carbon capture and storage (CCS) technology. The Government hopes its plans will also help to encourage greater use of low-carbon electricity generation, something the UK is particularly poor at compared with its European neighbours. In 2007, just 5.1% of our electricity was generated through renewable sources, putting us 25th out of 32 European countries. The committee wants to hear from [interested parties](mailto:ecc@parliament?subject=coalition plans) on whether the plans will help to clean up our electricity and what effect it may have on domestic electricity prices. After all, clean but expensive electricity would erode the attractively low running costs of EVs.